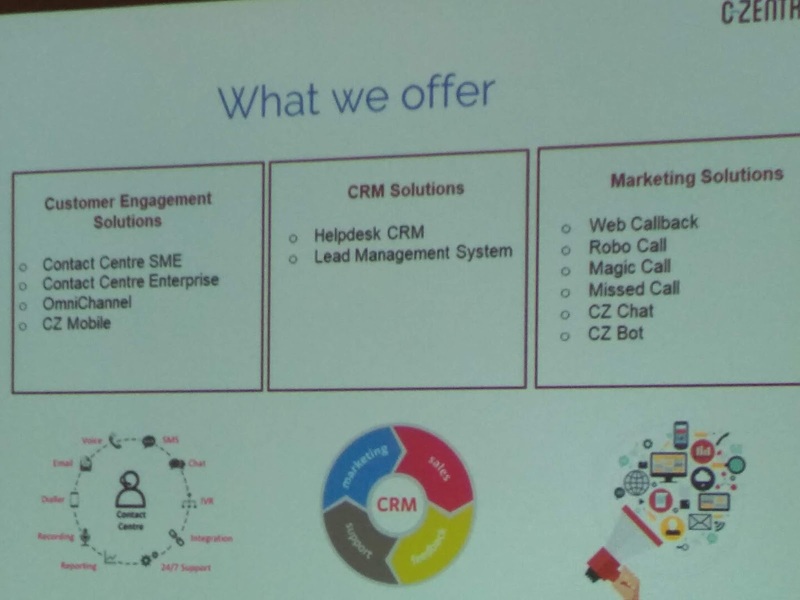 C-Zentrix, a leading contact center solution provider organized a media meet in Bangalore today. The event was aimed to bring out the nuances of the evolving CX (customer experience) industry in India and how companies will adapt to the changes via digital platforms. According to Forrester's 2017 Customer Experience Index, the quality of customer experience has improved in India. Key findings include that no brand in India delivered poor CX, and the average score of the five industries rose, indicating better quality CX across the board. In addition, the data shows that emotion has a bigger influence on customer loyalty than effectiveness or ease in nearly every industry. 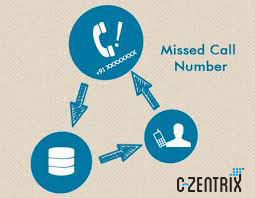 C- Zentrix, developed with a vision of creating next-generation, simplified call center technology help organizations across industries to setup and manage their personalized customer engagement center hassle free at low cost and high efficiency. The focus of the press meet was to highlight the importance of tailored solutions for the different needs of each organization with relation to customer experience. According to Arijit Chatterji, Chief Business Officer, C-Zentrix, “We, at C- Zentrix aim to provide the best-in-class contact centre software and enterprise level software for superior customer experience. Our products such as Omnichannel, Speech based IVR and AI driven chatbot are used extensively across industries in domestic as well as international market. Customer experience is key to customer retention and to give businesses a full coverage we have evolved further with voice commerce solutions and mobile-based applications. Our Ticketing CRM and lead management solution (LMS) enable our customers across industries to provide a better customer experience for their end customers and higher productivity for the business. Our Omnichannel is transforming Customer Experience to new heights. Reaffirming commitment to the environment, this year Mahindra Group, will achieve double its annual commitment by completing 2 million saplings plantation. 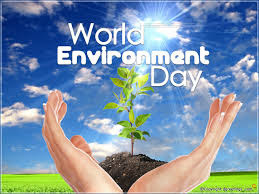 By June 5, the ‘World Environment Day’ the company aims to plant 15 million trees under the aegis of Mahindra Hariyali program. 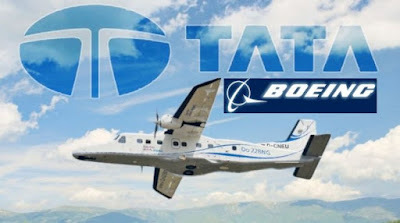 Tata Boeing Aerospace Limited, today announced the delivery of the first AH-64 Apache combat helicopter fuselage ahead of schedule from its state-of-the-art facility in Hyderabad. 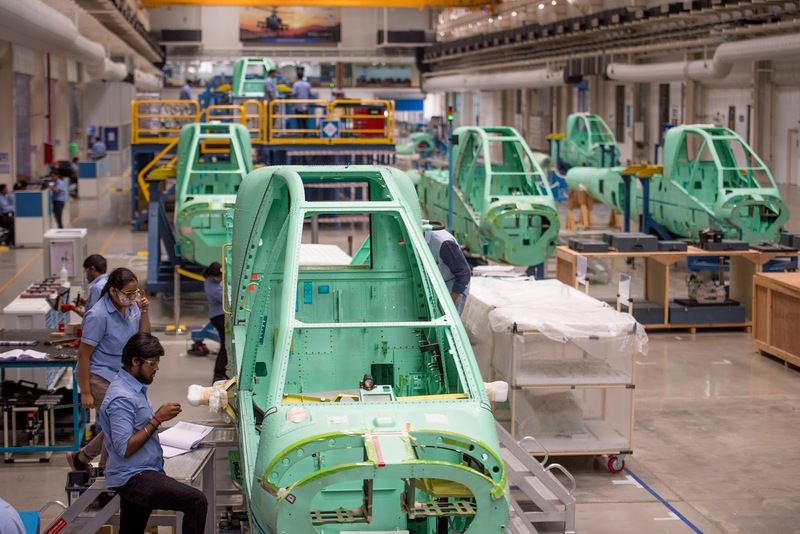 The fuselage will now be transported to Boeing’s AH-64 Apache manufacturing facility in Mesa, AZ, for integration into the final assembly line. 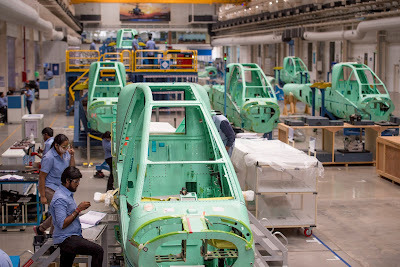 This delivery comes within a year of the aerospace joint venture facility becoming operational. Tata Motors’ Commercial Vehicles (CV) domestic sales in May 2018 were at 36,806 units, an increase of 56% compared to 23,606 units in May 2017. Cumulative sales growth of CV in the domestic market for the fiscal (April-May 2018) were at 73,082 units, a growth of 84%, compared to 39,623 units, in the same period last year. Post the Supreme Court ruling on BSIII to BSIV transition, sales were affected in Q1 last year as there was a huge pre-buy and also a limited supply of BSIV vehicles. The growth in May 2018 was on the back of various macro-economic factors like investment in improved industrial activities, infrastructure development and robust demand in the private consumption-led sectors. The M&HCV truck segment continued its strong growth momentum with 12,424 units, a growth of 90% over last year. This growth has been led by the government’s focus on infrastructure development, road construction, building of irrigation facilities and housing projects across the country. Additionally, sectors like auto carriers, 3PL players, cement, steel and oil tankers are also driving growth. The SCR technology that was introduced in M&HCV trucks last year has gained customer confidence and continues to establish its TCO superiority. The I&LCV truck segment reported a significant performance at 4,106 units, growth of 73%, over May 2017. This growth has been due to new product launches, E-Commerce and increased rural consumption. The recently launched Tata Ultra range of ILCV trucks is gaining significant acceptance and contributing to the volume growth. The SCV Cargo and Pickup segment continued its growth momentum with sales of 15,567 units, up by 47%, over May 2017. With the growth in E-Commerce sector and the hub-spoke model continuously evolving, the small commercial vehicles are in demand for the last mile connectivity needs across the rural and urban markets. The newly launched Tata Ace Gold has been well received by the customers and is seeing a strong demand. The commercial passenger carrier segment posted a growth of 14% with sales of 4,709 units in May 2018. The onset of the annual school season led the robust demand for school buses. With retails slowing down, May 2018, was a challenging month but Tata Motors' Passenger Vehicles (PV) domestic sales registered an impressive performance with 17,489 units, a growth of 61%, compared to 10,855 units in May 2017. 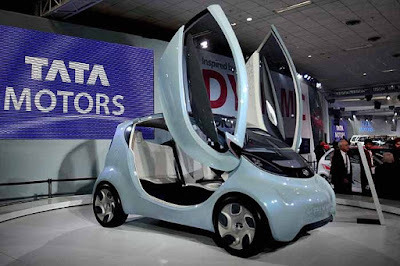 The Tata cars recorded a growth of 18% at 11,516 units driven by continuous strong demand for Tiago and Tigor, while the UVs continued to record an exceptional performance of 463% growth at 5,973 units, due to the strong demand for the Nexon and Hexa. The recently launched Nexon AMT has received an overwhelming response and is witnessing good traction in the market. Cumulative sales growth of PV in the domestic market for the fiscal (April-May 2018) were at 34,724 units, a growth of 47%, compared to 23,682 units, in the same period, last fiscal. The company’s sales from exports (from CV and PV) in May 2018 was at 3,699 units as against 3,900 units in May 2017. 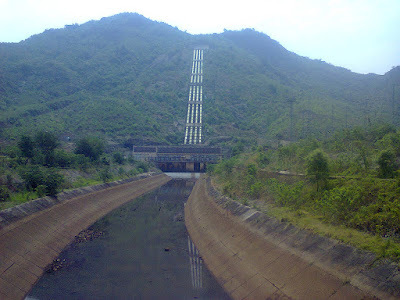 The first ever scientific study in India of Small Hydropower Projects (SHPs), has revealed that despite being promoted as clean energy, these plants have significant ecological impacts, and cause alterations in stream geometry, water quality and freshwater fish communities. Suman adds, “Despite mounting evidence, the Ministry of New and Renewable Energy has plans to build about 6500 additional SHPs without any environmental and social regulations. Given that most of these planned dams are located within biodiversity hotspots of the Western Ghats and the Himalayas, it is imperative that the policy concerning these projects be revised to include mandatory minimum flow requirements and individual and cumulative environmental impact assessments"
Che Connon, Professor of Tissue Engineering at Newcastle University, who led the work, said: “Many teams across the world have been chasing the ideal bio-ink to make this process feasible. “Our unique gel - a combination of alginate and collagen - keeps the stem cells alive whilst producing a material which is stiff enough to hold its shape but soft enough to be squeezed out the nozzle of a 3D printer. 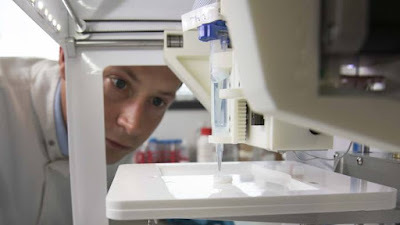 The scientists, including first author and PhD student Abigail Isaacson from the Institute of Genetic Medicine, Newcastle University, also demonstrated that they could build a cornea to match a patient’s unique specifications. Telecom operator Idea Cellular on Thursday said it has completed the sale of approximately 9,900 mobile towers to American Tower Corporation’s (ATC) Indian arm for Rs 4,000 crore. “Completion of sale of its (Idea) pan-India standalone tower business, by way of divesting its entire stake in ICISL, 100% subsidiary of Idea, to ATC Telecom Infrastructure. 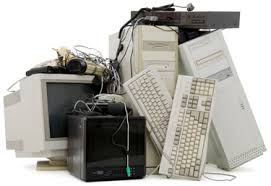 The transaction has been closed with an enterprise value of Rs 40 billion for approximately 9,900 standalone towers,” Idea said in a statement. 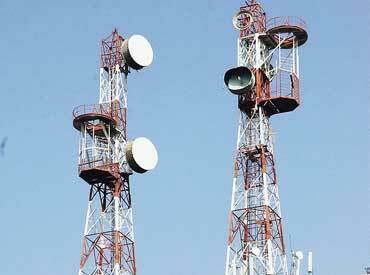 ATC has already completed acquisition of Vodafone India’s mobile tower for Rs 3,850 crore, which added nearly 10,200 to its portfolio. The proceeds will be used by both Idea and Vodafone to lower debt of their merged entity. “The receipt of both these proceeds prior to completion was anticipated and provided for, in the Vodafone India and Idea merger agreement and hence would not affect the agreed terms of the merger, including the amount of debt, which Vodafone will contribute to the combined entity at the closing of merger transaction,” the statement said. The deal brings the merger of Vodafone India and Idea, resulting in creation of the country’s largest telecom operator with around 430 million subscribers, closer as change in structure of the organisations would have created complexity in document work for clearing standalone tower deals of Idea and Vodafone with ATC. Idea said that post completion of the merger, 6,300 co-located tenancies of the two operators on the combined standalone tower portfolio will collapse into single tenancies over a period of two years without the payment of exit penalties. “Both Vodafone India and Idea as customers, and ATC as a vendor, has agreed to treat each other as long-term preferred partners, subject to existing agreements,” the statement said. Man has caused a huge imbalance in nature through science and technology and disrupted the organic structure of the earth, noted environmentalist A N Yellappa Reddy said on Wednesday. Speaking after being honoured by the Rotary Club of Bangalore, Reddy remembered the days when Bengaluru was "green, clean and traffic-less" and expressed concerns about development bulldozing the environment. "Every creature in forests has a unique responsibility to take care of mother earth. Working in forests has taught me altruism. But man has failed to keep that balance," he said. 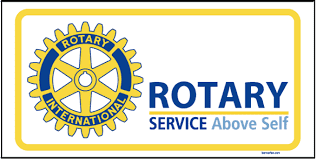 The Rotary Club of Bangalore, in association with Deccan Herald, gave away Rotary Bangalore McIver Awards. While Reddy, a former principal chief conservator of forests and secretary to the government of Karnataka, was honoured for his contribution to Environment Conservation, former ambassador to the US, Nirupama M Rao, was recognised as Citizen Extraordinaire for her role as a diplomat. Activist Madhu Bhushan was presented with the Women's Empowerment award in recognition of her activism and efforts in empowering women. Javad Poovalappil of Nimhans won the award for Pride of Workmanship while young cricketer Shreyas Gopal got the Youth Icon award. Bangalore International Airport Limited (Corporate Citizen), Azim Premji Foundation (Making A Difference), UTC Aerospace Systems (T-E-A-C-H) and Rotary Club of Bangalore Orchards (Community Service) were recognised for their contribution to the city. Yaduveer Krishnadatta Chamaraja Wadiyar, the scion of Mysuru's royal family, was inducted as an honorary member of the Rotary Club. As nations world over gear up to celebrate World No Tobacco Day, with WHO’s focus this year being on the impact of tobacco on cardiovascular health, India is fighting its own tobacco-related death and disease battle. Manipal Hospitals Bengaluru, the foremost multi-specialty healthcare provider committed to clinical excellence and patient care, today announced the launch of its ‘Lets Together, Beat Tobacco’ Campaign on the occasion of World No Tobacco Day. This awareness campaign was unveiled by Vanistha Ashok, fitness expert with an aim to create awareness on the ill effects of tobacco consumption in any form. In a bid to spread the awareness on preventive care, Manipal Hospitals launched quick evaluation package for lungs at just Rs. 799. The package includes chest x – ray, spirometery, GRBS and Pulmonology consultation. The package can be gifted to a smoker in the family to encourage him / her to quit smoking. Manipal Hospitals Bengaluru launched a bouquet of activities under the campaign such as a poster exhibition, literature and brochures to educate the masses, cyclothon for hospital consultants and employees along with special screening packages for the public. Cyclothon for hospital employees will be flagged off from Manipal Hospital premises to CMH Road, Indiranagar and back. The rally will begin at 6.00 am and culminate at 8.00 am on Saturday, June 2, 2018. World over approximately 1.1 billion people use tobacco and its products.In India the usage is high but there is a decreasing trend in usage from 34.6% in 2010 to 28.6% in 2017(GATS).As per the Global Adult Tobacco Survey 2017 ,the usage in Karnataka has come down by 5% from 28.2% in 2010 to 22.8% in 2017.The usage is more in males (44%) compared to females (37%). 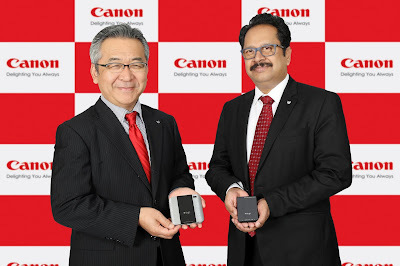 Canon India, leader in imaging solutions, starts distributing Rayo Mini projectors in India. Targeted at both B2B and B2C segments, the two flagship models, Rayo i5 and Rayo R4 are compact, lightweight, and portable and bet big on both style and imaging impressions. The organisation will be responsible for distribution of the two products in the country. “The Rayo Mini Projector is an innovation that complements the Smart Phone Proliferation trend perfectly. The easy setup and versatility of the mini projectors make them a must have travel accessory particularly for the mobile business professionals and for families on vacation or those using them for leisure. The Rayo projectors truly boost the power of information on-the-go by enhancing the way photographs, presentations and videos are shared.” said K Bhaskhar, Vice-President, Business Imaging Solutions, Canon India. The compact and light weight design makes the Rayo mini projectors a highly portable and handy travel accessory. For the business professional on the go, the mini projectors are the perfect complement to a broad range of mobile devices, enabling impactful presentation of ideas whenever and wherever. The wireless feature on the RAYO i5 circumvents the hassle of cables. The convenience of the wireless functionality means users can play movies or share content from their latest Android/iOS devices easily through Mirroring/DLNA technology. Offering stable and continuous brightness at 100 Ansi lm; this high level of brightness facilitates clarity in imaging output with WVGA resolution for home entertainment such as movies or karaoke parties as well as business presentations on the go. The Rayo R4 projects directly from mobile phones/tablets through connectivity with MHL cable and offers brightness of 50 Ansi lm. It can be easily connected to a laptop with the Mini HDMI cable to deliver a power packed demo. Rayo i5 has a 1,900 mAH battery which has a play time of upto 120 minutes at standard brightness. Whereas the R4 has a 1,700 mAH battery that can play for upto 150 minutes in standard brightness. Which means, power is the least of your concerns with the mini projectors in case you want to catch up the latest movie, project an important presentation or show off your pictures. The LED light source lasts upto 20,000 hours in the Rayo i5 and 10,000 hours in the Rayo R4. A long lasting light source lets you project as frequently as you want without having to worry about replacing it. The applications of the Rayo i5 and R4 could be as limitless as your imagination. Be it projecting a recipe video on your kitchen wall while cooking, watching that important football match on roof of the car, making your balcony your cinema hall or transforming the airport lounge into your demo zone. Both R4 & i5 come with built in speakers making it a mobile companion for all projection needs as it saves the hassle of carrying additional speakers. User’s can also connect their headphones if required. The Rayo R4 and i5 will be available for sale in India effective 1st June 2018. The R4 is priced at MRP Rs. 30 000.00 incl. of all taxes and the i5 is priced at MRP Rs. 50 000.00 incl. of all taxes. · IBM will now be offering its Watson Customer Engagement (WCE) services, the world’s leading “AI-Powered” Enterprise Marketing Cloud solution from its Cloud data center in India. · With the launch of this new service, IBM will become the only company in the world to offer best-in-class “AI - powered” Enterprise Marketing Cloud Services locally from a Data Center in India. 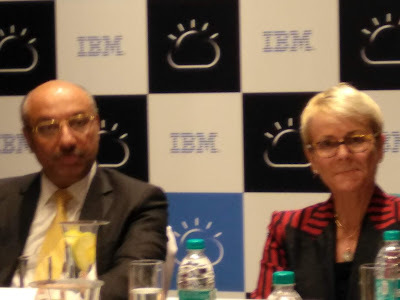 · IBM’s Indian customers can now host their marketing data on our cloud data center, which gives them proximity, scalability, and more importantly helps them meet regulatory requirements. · This move will enable marketers of Indian businesses and government agencies to create unique customer journeys, while ensuring that their clients have more control over their marketing data in line with data privacy regulations, especially in highly regulated sectors such as Banking, Insurance and more. · IBM has a rich legacy of working with some of the top brands across the world and in India – who are redefining their customer journeys with the help of IBM’s technologies. · Our valued clients such as Payback, IndusInd Bank and Titan are all leveraging IBM’s Watson Customer Engagement which is helping them create world class marketing campaigns to engage deeply with their customers. IBM’s customer engagement expertise hasn’t evolved overnight. They are the result of a 20+ year journey focused on building a unique portfolio with $3.5 billion in investments, a commitment to innovations as seen through its 1,200 patents 12+ strategic acquisitions and 17,000+ clients’ implementations globally. With IBM, clients gain a 360-degree view of the customer that engages them with new innovative, truly personalized experiences both in-store and online, that inspire them to buy. · It allows digital marketing professionals to unlock value by exceeding revenue, customer loyalty, and customer engagement goals via personalized, automated, multi-channel marketing programs. · Our clients can deliver the smartest campaigns and perfect customer experiences with “AI-powered” capabilities and seamless access to customer behavioral and profile data to construct any program you desire. · The “AI-powered” Marketing Assistant saves users time and effort (tasks that take hours can be completed in minutes) and helps marketers make better decisions. · Clients can drive customer engagement with truly personalized campaigns using AI-determined customer locations (such as “work” and “home”) and predictive weather conditions. * In 2017, IDC’s MarketScape on Worldwide Artificial Intelligence in Enterprise Marketing Clouds 2017 Vendor Assessment identified IBM Watson Marketing as the only company in the leader segment. 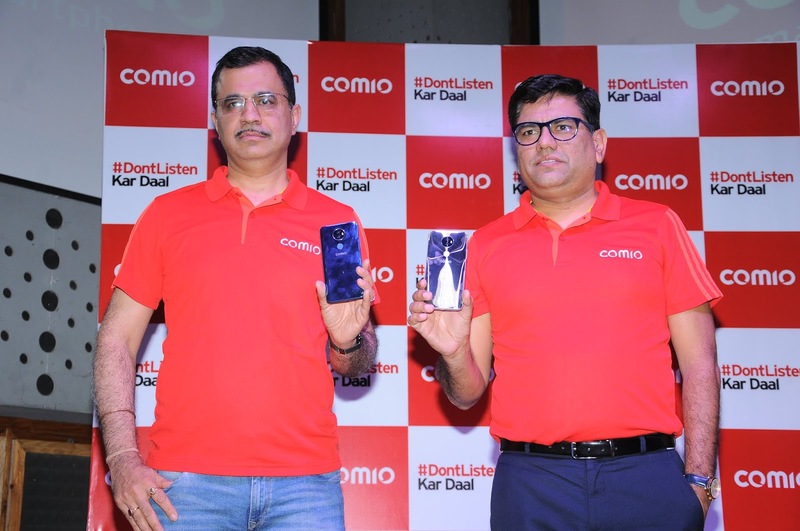 COMIO Smartphone, India’s emerging mid-segment brand, recognised as ‘The Most Promising Brand’ by The Economic Times is all set to conquer the market with the launch of its flagship smartphone, the COMIO X1 Note. Competitively priced at Rs 9,999, the X1 Note boasts of flawless slim ID design with a stylish mirror finish back cover in two colour variants- royal blue and sunrise gold. With the COMIO X1 Note, the brand which was initially launched in North & West India now forays into the East & South market. The brand will be launching a total of 5 devices in 5k-10k price segment in East & South market including their existing models C-1, P-1, C-2 lite and S-1 lite. Karnataka is one of the largest markets in the South region and will be of prime importance to COMIO Smartphones. Being a highly ‘value added’ market, the brand will have a strong offline network of 2000 retailers, 35 distributors, 400 after sales touch points and a deeper penetration through 3-4 large format retail chains. COMIO Smartphone will target sales of 15 K units per month from the region with an aim to have a 2-3% market share in this year. Special offers that will be offered to consumers will include- Reliance Jio offer, exhaustive COMIO support including screen breakage warranty. Reliance Jio offer: Customers can now enjoy unlimited data and talk time offers using a COMIO smartphone. Jio customers to get Rs 2200 cashback (44*50 Rs vouchers) at the time of 1st successful recharge of Rs 198/299 monthly plans. The offer can be redeemed from the 2nd recharge onwards. JLL, India’s largest professional real estate services company, estimates that over 13 million people will work out of co-working spaces by 2020. In a recently released research report ‘Spotting the opportunities: flexible space in Asia Pacific’, the company says that demand for flexible offices – including coworking spaces and serviced offices – is growing faster in Asia Pacific than anywhere else in the world. In India, the growth of flexible office space is expected to grow at 40 - 50% in 2018. The region’s stock of flexible floor space is growing at 35.7 per cent per year compared to 25.7 percent in the US and 21.6 per cent in Europe. 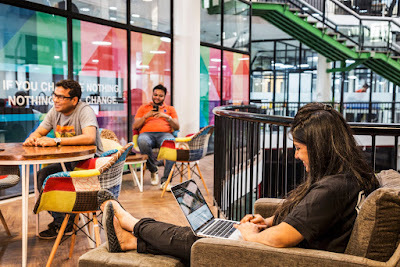 The potential market size of co-working across India is expected to be 13.5 million users by 2020 about half of which will be from enterprises, which are expected to take up 10.3 mn seats. Freelancers and Small & Medium Enterprises (SMEs) are expected to contribute 1.5 million users worth of demand, while it is anticipated that startups will demand upto 100,000 seats by 2020. The report further indicates, that the top 6 cities will require an estimated 5 million seats in co-working spaces, while, 8.5 million of the projected demand will be in Tier 2 and 3 cities. The report, which looks at major coworking and serviced office operators in 12 Asia Pacific markets, including India, reveals that the number of major flexible space operators has doubled, while flexible floor space has increased by 150 per cent between 2014 and 2017. “In India, the coworking segment is expected to grow by 40-50% in 2018 alone. By the end of the year, we anticipate flexible workplaces would attract investment upto US$ 400 mn. With over 200 premium business centers across the country, set to double by 2020, co-working spaces will reflect the global trend of being closer to 20% of total workspace”, mentioned Sandeep Sethi - MD, Integrated Facilities Management West Asia, JLL. He highlighted that rise of the millennials and a large, vibrant start-up ecosystem are the key factors contributing to this trend in India. However, while the growth of this segment in India has been phenomenal, most corporates are in pilot or experimentation phases - revealed a high-powered panel discussion comprising of real estate thought leaders and influencers at a recently held thought leadership event ‘JLL Perspectives’. Furthermore, corporates hin India want to better understand and mitigate, the potential challenges before adopting the model . One of the key drivers of the surge in corporate demand for flexible spaces, identifies the report, is plug-and-play simplicity, particularly for larger companies. The ability to move in and out of an office at short notice, avoid complicated contract negotiations and fit-out work is a convenient option for many occupiers. 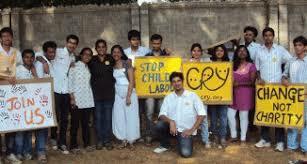 Child Rights and You (CRY) a leading Indian non-profit working for child rights, announced it has received a grant from Oracle, a global leader in cloud applications and platform services. The $100,000 grant aims to harness the power of state-of-the-art digital technology in reaching out to underprivileged children of India. This system will potentially improve lives spanning across 19 states of India and covers 2060 villages, 2 lakh households and 4.13 lakh children which happens to be the premise of CRY’s intervention. With Oracle’s support, CRY has set forth developing a software system that not only captures the ongoing groundwork in real time, but also opens up opportunities in sharpening its performance on a regular basis. With Oracle’s support, CRY has implemented the MEAL system (Monitoring Evaluation Accountability and Learning), which has helped CRY manage its database, enabling MEAL to have a presence in 19 states of India. Oracle’s support has enabled CRY to tap into the specific problems linked with each child under any given thematic, be it education, health and nutrition, protection and participation. MEAL provides CRY with a comprehensive system that tracks changes in growth and development of every last child in the remotest village, making the results accurate and tending toward evidence-based analysis and advocacy. The outcome of the project will be on the lines of creating efficiency to capture and communicate evidence while increasing accountability and effectiveness in studying and analyzing the interventions made in the project areas. “The technology upgrade will enable our grass-root level workers to identify, manage and track every child and household with far greater accuracy in our intervention areas.” said, Suma Ravi, Regional Director, CRY-Child Rights and You. “We are pleased to support Child Rights and You (CRY) in a shared mission to improve the world around us,” said Rajendra Tripathi, Senior Manager, Oracle Corporate Citizenship – India. 3i Infotech Limited, a global Information Technology company has launched Maggie – Your Virtual IT Engineer. Maggie is part of cognitive service desk that will help contact centres to address hundreds of user requests simultaneously while successfully meeting the expectations of the digital-age users anytime, from anywhere. Powered by Artificial Intelligence, and combined with Natural Language Interface, which helps it understand user queries and learn from past experience, Maggie reduces human intervention in communication and operations. Acer, one of the world’s leading gaming PC makers once again attained No.1 spot in the Indian PC gaming market as per IDC’s Q1 2018 report. 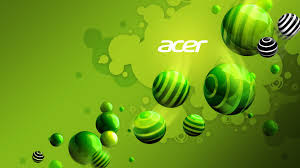 Acer has proved leadership in India with 37% market share in gaming laptops and 21% share in PC gaming segment as per IDC’s Q1 2018 report, outpacing competition by a significant margin. The Forum Mall, one of Bangalore's first full-fledged mall along with Conrad Hilton organised "Junior Chef Champ" at the Conrad, Bengaluru on Tuesday. The event Is a platform to showcase young culinary talent and inspire kids to pursue their passion. The "Masterclass Session" with celebrity chef was held In the city and children across various categories received prizes worth Rs 10 lakh. Speaking on the event, Suresh Singaravelu, Executive Director, Prestige Group - Retail, Business Expansion and Hospitality says, "Every child should have variety of experience and developing skills is essential. Cooking is an creative art to de-stress yourselves and others.Today the best of the best are here to receive the prizes after showing off their cooking skills with the masterclass chef Praveen Shetty." Praveen Shetty, Executive Chef at Conrad, Bengaluru said thanks to the Internet era, most children have a variety to watch and learn. Most of the children here are already familiar with culinary skills. "Cooking is a good profession to pursue." Over the last 6 months the event was held across 5 cities and 1314 participants took part. Singaravelu adds that being pioneers in the business, the Forum Mall have always indulged in curating experiences for all ages groups which has made us one of the preferred shopping destinations in India. Cycles from Landmark, Masterclass at Conrad, Gift Vouchers from Zebronics, Gift Vouchers from Davanam Sarovar Portico Suites. Vivo, the global premium smartphone brand, today unveiled Vivo X21, its latest flagship with industry-first In-Display Fingerprint Scanning Technology. A remarkable leap in global technology, Vivo X21 leads the industry with its disruptive unlocking technology, making it more safe and secure for its consumers.Priced at Rs 35,990 the device will be available from May 29, 2018 onwards. Priced at Rs 35,990, the Vivo X21 will be available in black colour across selected offline stores from 29th May’18. The device will be available online on flipkart.com and shop.vivo.com/in with exciting launch offers. Vivo X21 switches the rear fingerprint sensor with the latest In-Display Fingerprint Scanning Technology to maintain the sleek and unified design of the smartphone. As soon as the user touches the screen, the OLED display gets activated to illuminate the finger. The optical fingerprint sensor under the OLED display recognizes and captures the reflected light from the unique fingerprint pattern which is processed by the sensor for authentication. Vivo X21 features a 15.95cm (6.28) 19:9 FHD+ FullView Display with 1.66mm side bezels and offers a 90.3% screen-to-body ratio for a better viewing experience. Vivo has customized the FunTouch OS 4.0 to provide notch support and develop an optimized notification bar for a seamless experience. To complement the high quality display of the Vivo X21, the smartphone integrates P3 display color management technology and supports a P3 wide color gamut to ensure more accurate, natural and saturated colors. Continuing Vivo’s legacy of photographic experience, the X21 is equipped with 12 MP front and rear cameras, which has Dual Pixel Sensors and an additional 5MP rear camera. The Dual Pixel Sensors on the Vivo X21 not only helps in improving focus speeds but significantly boost picture clarity due to a larger pixel count. It is also capable of providing brighter & vivid photos even in low light conditions. Vivo X21 is powered by a Qualcomm Snapdragon 660 which effectively handles all the multi-tasking requirements of modern day consumer. Pairing the processor with powerful 6GB RAM, significantly increases the overall speed of applications including mobile games. The 128GB storage space provides users with the liberty to shoot a number of photos and also save their favorite music, movies and applications without worrying about storage space limitations. Vivo X21 extends Vivo’s Hi-Fi legacy and features a Hi-Fi audio chipset a superior aural experience. With Deep Field technology in the X21, consumers have multiple options to experience panoramic surround, mega bass, clear voice effects and various environmental audio effects, all leading to a superior audio experience.